WishMasterHost is an Internet/Web solutions company focused upon the successful integration of high-performance telecommunications and software technology for the advancement of our customer's businesses. As one of the pioneers who brought the Internet to the people of world wide, we have built our reputation on creative thinking and practical expertise. Our dedication to providing the best products and services in the Internet and intranet market demands that we continue our pioneering role. 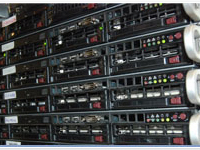 Our servers are located at a CyrusOne Data Center Houston, Texas. The data center is located 20 minutes west of downtown Houston just off Beltway 8 between I-10 and 290. It is strategically positioned with access to significant and redundant utility power feeds and access to the fastest and most reliable telecommunications networks, as it is located along a major fiber corridor in Houston. Our facilities use Juniper routers, Cisco and Netgear enterprise switches setup for redundancy and reliability. We are connected to multiple international and regional networks carriers to bring you faster downloads and reliability. with high-performance SCSI or SATA2 hard disks. This means all our systems can tolerate at least 1 hard disk failure with no downtime. All our servers are backed up to secure NAS or SAN every 24 to 48 hours. All this ensures your data is safely stored and more reliable than a single hard drive. At the heart of WishMasterHost are 20+ seasoned professionals with many years of experience in Server Administration and Customer Support. Our staff is a mix of both US and Indian IT professionals. We hire the very best, with a good portion of our staff holding MCSE and other technical certificates. Our top Level3 system administrators have several years of experiences and have been working with WishMasterHost for a number of years. Trusted by more than 35,000 customers and web sites owners. An international company, offering web hosting services in 110 countries world-wide. Market-leading reliability and performance with multi-homed high speed fiber optic connections. 99.9% network uptime guarantee with SLA. Has a team of Web Hosting Experts with 6-10 years of Industry experience. We provide quality services at reasonable fee through our in-house full-time Staff working in 3 shifts, 24 hrs a day, all year long. Creates software and services designed to help businesses and individuals communicate, measure, and support their operations worldwide. brings performance, value, and stability to our customers at every level.